Decorating my porch for fall is one of my favorite things to do. Each year I run to my favorite thrift store here in Utah for decorating treasures. Our Layton Deseret Industries, or what we call the D.I., is so organized. For instance all of the seasonal items are grouped by season, and other items are sorted by color. Love that! I usually go out to "the yard" to glance through the metalwork, wood and floral items. If you arrive at 9:55 in the morning, you will be greeted by the "regulars," lined up to get in. When the doors open, everyone rushes in for treasures. Or they head straight to the store carts filled with newly donated items to be shelved. We looked like a swarm of bees to honey. Tip: Stay for at least 1 hour, because as soon as items on one cart are shelved or taken, more carts will come out. You have to be quick, yet polite, as you grab items. It's very fun! First, I painted the various plant stands (D.I. $10.50) with black satin spray paint so they all matched. I found these in "the yard" and I've seen plenty more. 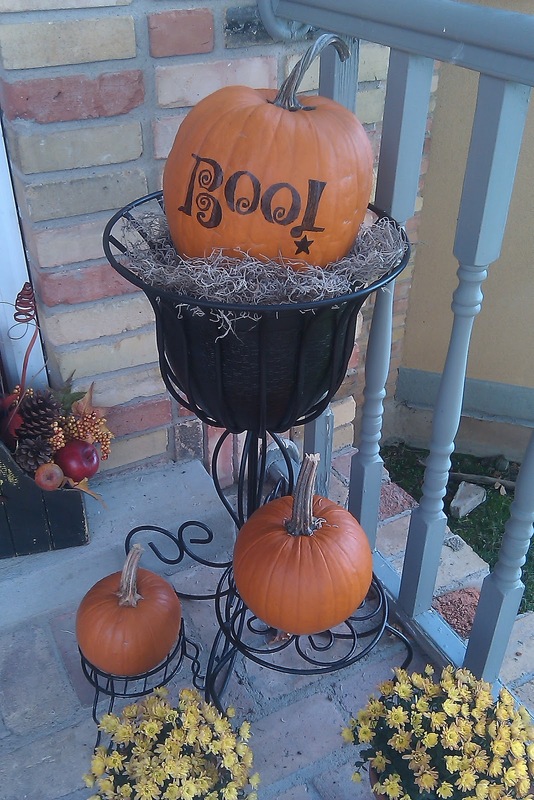 These definitely can be reused for other porch decorating. I already had the largest plant stand, but I gave it a fresh coat of paint as well. Then I arranged the pumpkins ($7.00 local farmer's market in Kaysville) and potted plants (Home Depot $18.00) on the porch. The ghost ($0) has been our porch friend for 10+ years. He doesn't light up anymore, but we still like him. I need to find him a friend. Another great find, was this cute wooden star box (D.I $5.00). I love it because I can reuse it for other holidays. I picked apart the fall florals from an old hanging basket (D.I. $2.00), reused the foam, and arranged them in the star box. The wreath ($0) was a bit wimpy, so I asked my talented 15 year-old to add some pumpkin garland ($0) and black ribbon ($1.00). I've had the pumpkin wall hanging for a few years. 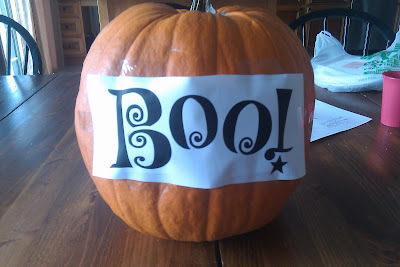 It's too early to carve pumpkins, so I copied the Boo! pumpkin stencil and drew it free-hand with permanent marker. I love my porch! I hope you are enjoying yours as well. Wow, I'm so impressed! Everything looks so cute. 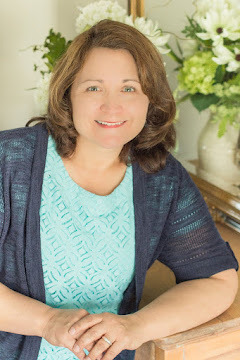 You found some great finds, thanks for sharing your great ideas. I'm going to use the pumpkin stencil. You could save $7 if you plant and grow your own pumpkins, if you have a garden space. 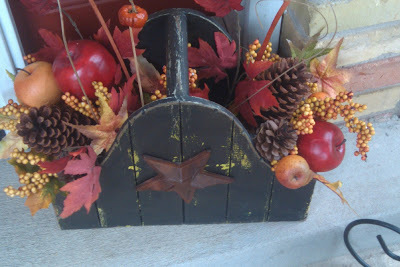 Love the idea of re-painting baskets and containers and filling them with fall foliage. awesome ideas! thanks for sharing. just pulled up my garden today and was wondering what to do with all the pumpkins! 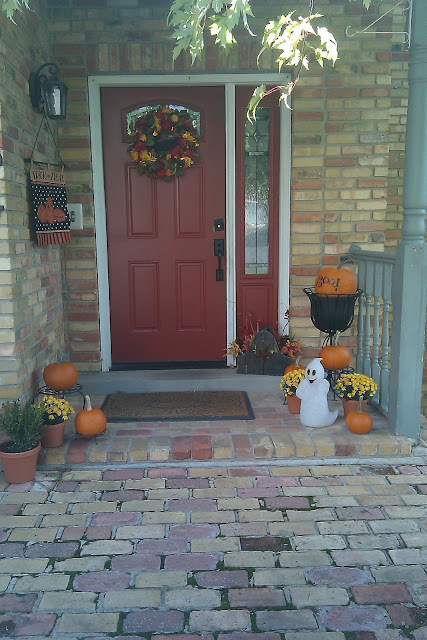 I'm really surprised that a mormon would celebrate halloween, or at least decorate their home with ghosts, etc.